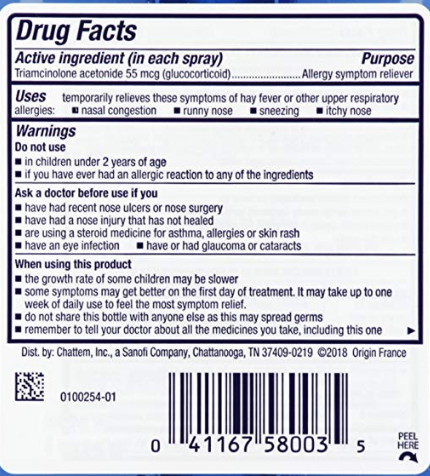 Similar to the "Pink Tax" defined as higher cost of products marketed towards females even though the product may arguably be identical to a similar male product (ie, razors), such price discrimination can be found with medications geared towards children... even if you can purchase an identical product for less without the "for children" label. 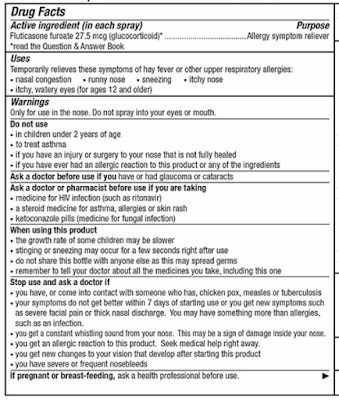 The two most recent examples are Nasacort and Flonase Sensimist. All have released a pediatric version, but can be almost double the cost FOR EXACTLY THE SAME THING! 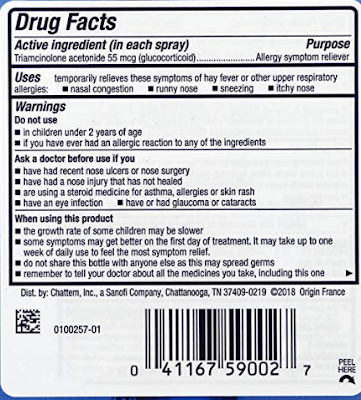 Same thing meaning same size bottle, same spray amount, and same active ingredient. 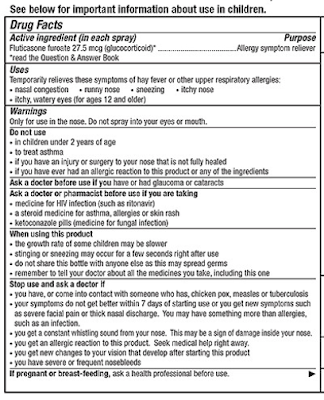 See images below with a picture of the "Drug Facts" for each type of nasal spray to confirm equivalent medication. It is no accident that the Drug Facts are identical (because it is identical). 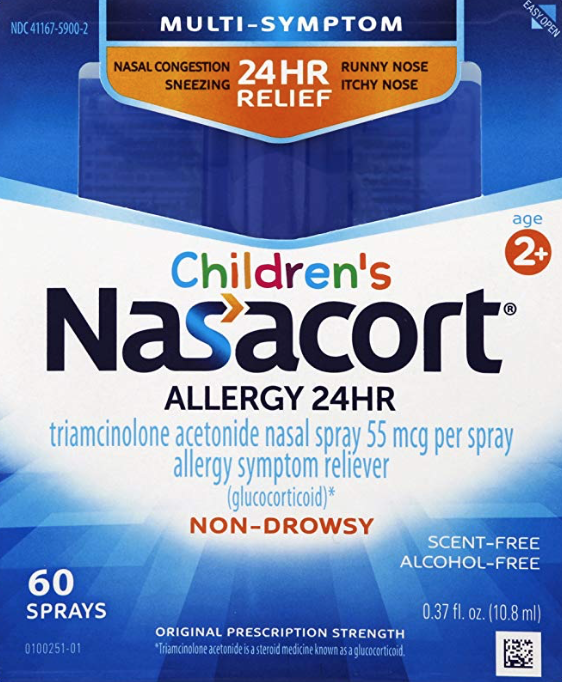 To use prices on Amazon (pulled 11/15/18) as an example, Children's Nasacort costs $13.99 whereas "regular" Nasacort costs $8.15. A similar price hike can be found with "regular" Flonase Sensimist which costs $12.77 whereas Children's Flonase Sensimist costs $13.46. The price hike may not seem that bad BUT, the children's version contains almost HALF the amount (5.9mL vs 9.1mL). So you are still paying almost double the cost. This pediatric price discrimination is due purely to marketing counting on the fears of parents everywhere who are willing to pay more for their child. 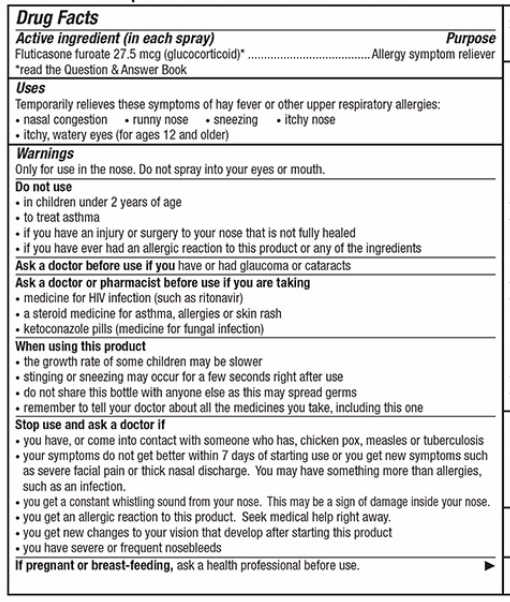 This pediatric price discrimination is oddly absent for plain Flonase ($18.78 for 15.8ml) and Children's Flonase ($11 for 9.9ml) which works out to be basically the same price. Bottom line? Buyer beware! All other things being equal, buy the regular nasal spray and not the pediatric version otherwise you may end up paying double for basically the same thing!